A high-tech digital recording, production, CD mastering facility that's ready to take your music/audio to new heights. Great Scott Studio is your ticket to recording, editing, mixing, and mastering your project onto a compact disc. Family, friends, and the public can hear your music professionally produced to the highest standards. 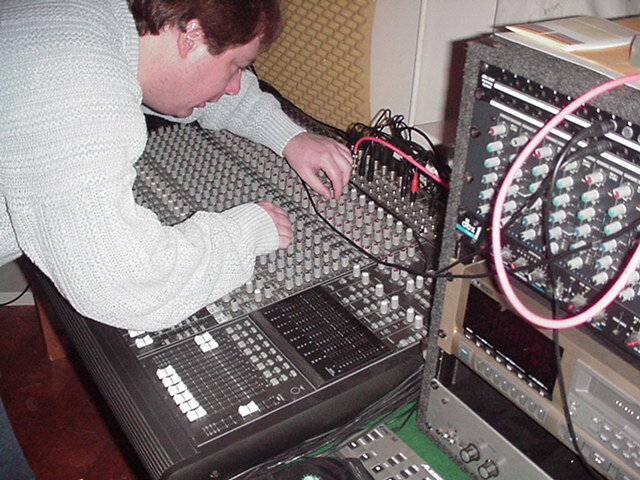 Computer-based digital powerhouse, utilizing state of the art hardware and software capable of 24 bit, balanced AD/DA conversion, 32 bit editing, 32 bit effects processing, automated mixdown of up to 64 tracks, and CD mastering. Friday Night Live Webcasting - Check out the details! Here's the music section. Tracks recorded here at the studio. "Stripclub MP3" - no tattoos, aka "the Idiot"
Great Scott Studio offers 16 tracks simultaneous record, 64+ total tracks on today's leading software platforms along with more effects than you can use, MP3 conversion and distribution... the list goes on!